Time to plan for a glorious garden filled with color. A fast, easy and budget friendly way to get loads of plants is to take cuttings and root them. You get larger plants faster than you would from seed plus you get a true clone of the parent plant whereas with seeds you never know what you will get. These are not all the plants you can do this with, just a small sampling. These were grown from seed and I only propagate for myself and not for sale. First you start with a nice healthy plant. I overwintered some of mine in my studio and upper bedroom window. 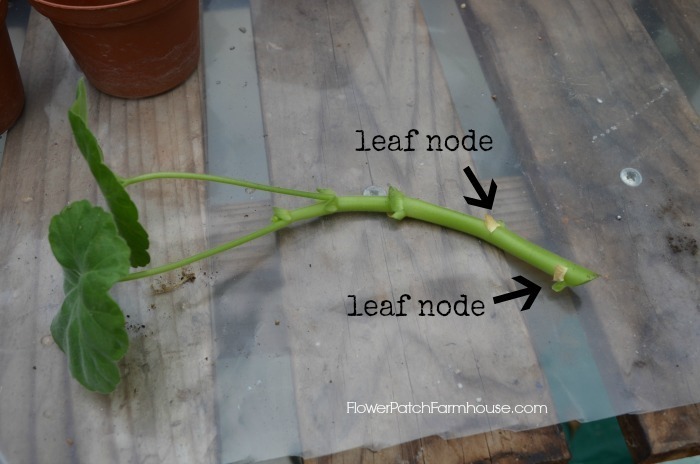 Take a cutting from a fresh green branch just below a leaf node. Cut with something clean and very sharp, like a razor or xacto knife. Old crusty branch…this is not what you want..
Make sure you have some potting mix ready to load up your freshly washed and sterilized little pots with. 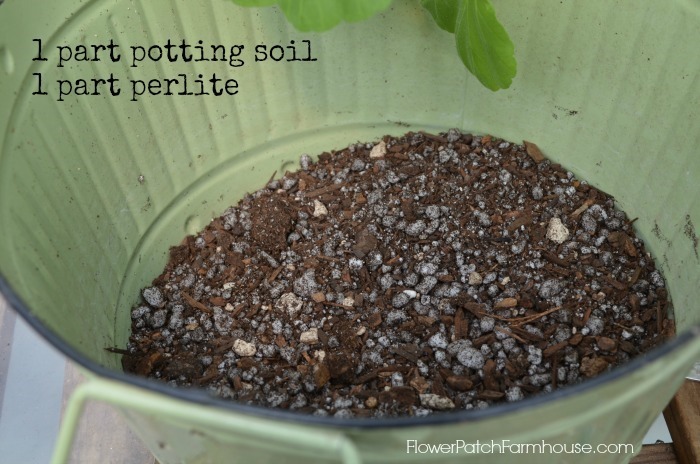 My mix is half potting soil (Ace brand) and perlite. These are 3 inch pots, you can use smaller or even the Jiffy pellets work well. These pots have all been washed in hot soapy water with a touch of bleach, then rinsed well and air dried. 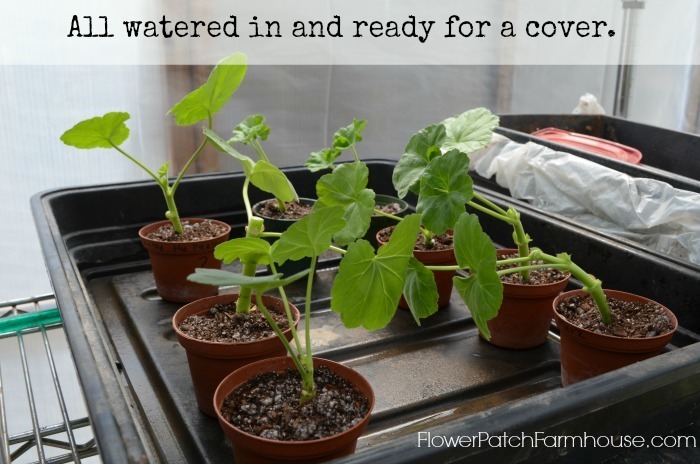 The cutting should be about 4 or 5 inches long and leave two healthy leaves on them. When you put the stem into the dirt make sure two leaf nodes are covered by the soil mix. 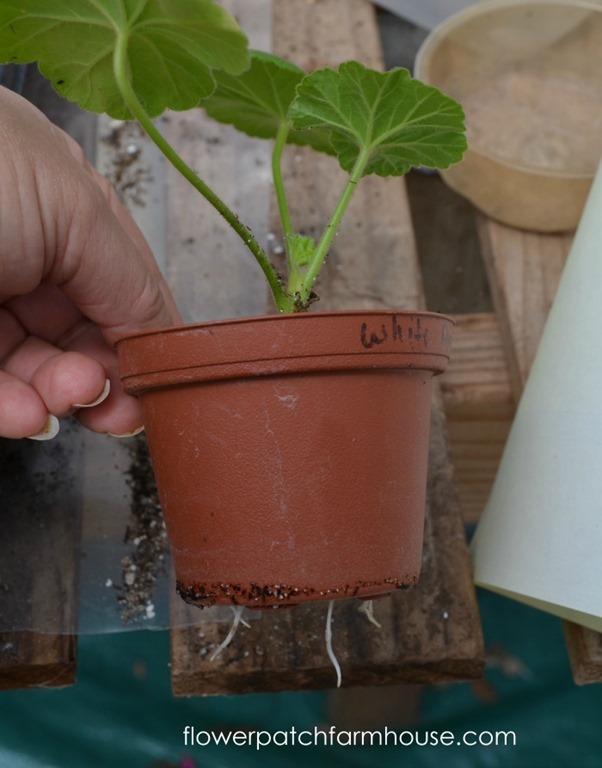 With geraniums I do not use a cloning or rooting medium but other plants do root better for me when I do, here is the rooting medium. Water well and press the soil firmly around the cutting. I love my propagation trays with lids. They work wonderfully for me and are less of a pain that the plastic bag method. Find some here on Amazon or Park Seed has a lovely one that is very durable and worth the cost if you are going to propagate often. Put a clear lid on your tray to maintain moisture and keep at a moderate temperature and in bright light. I have mine in the greenhouse but you can put them under lights in the house as well. 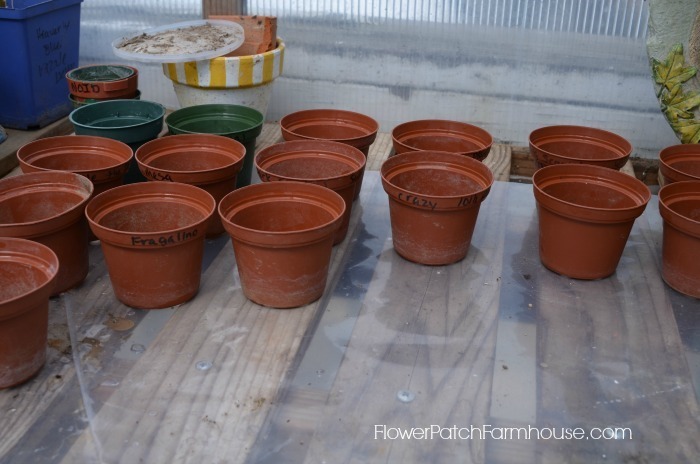 You can use clear plastic sheeting you get in a roll at the home store, just tent it up so it up with something so the plastic does not touch the cuttings directly. It does not need to fit snug, you do want some air circulation. Here is my petunia cuttings done the same way under their clear dome roof under grow lights in my dining room. And Voila’….a few weeks later you have roots! I love when that happens. Sweet success. You can now pot them up into a larger pot to fill out more or put them in whatever container you want to see bright happy flowers. I would wait to plant them in the garden until they were a bit larger but if you wish you can put them right in your borders and beds now. Just protect from slugs and snails, I use a bait. Never be afraid to try rooting things out of season. Like this clematis…see the green sprout in the corner? That is a cutting that is starting to grow. 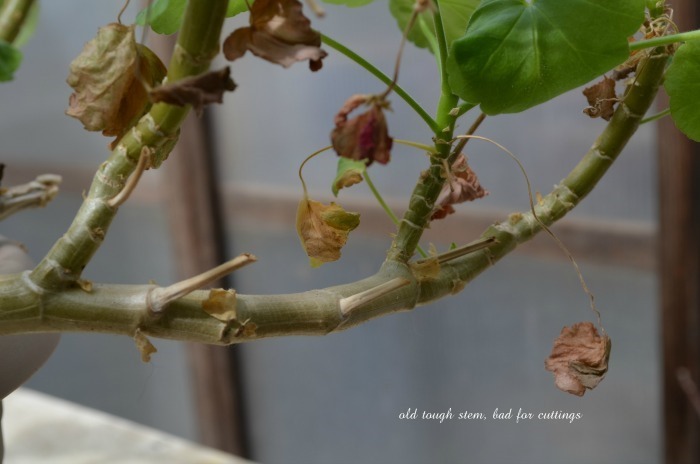 I did a post on pruning a clematis last Fall…Prune Clematis for Top to Bottom Bloom, and even though it was the wrong time of year to root cuttings I figured it wouldn’t hurt to try since I had a ton on hand from the pruning. I cut the clematis trimmings into small lengths, dipped them in rooting hormone, poked them in compost in a small pot, and let them just sit in the greenhouse over winter. Though I only show one in the photo, nearly all of the cuttings I planted are showing growth. I didn’t even have a cover on them to retain moisture. The moral of the story, even though it may not be the “best” time of year to do something for the garden it won’t hurt to give it a try, you may be surprise. It is as easy as it looks. I have done this several years in a row and I am always pleased with the results. Give it a whirl, you will be glad you did. 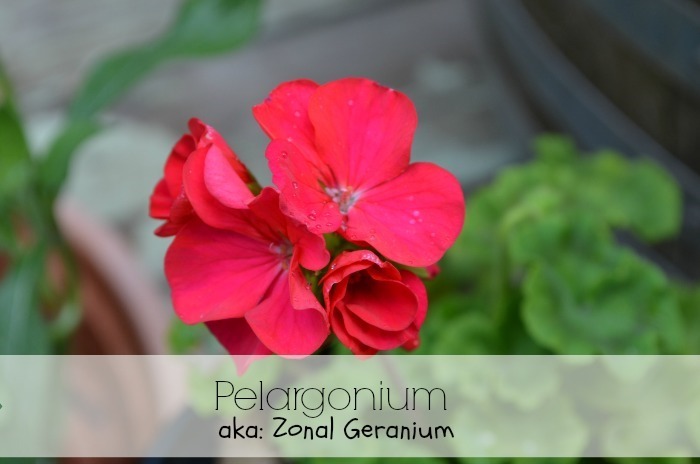 I’ve never thought about getting cuttings from my geraniums. That’s genius! I’m going to have to try that this year. On another note – I love the paintings in your header. Thanks for the info. And, that app looks fabulous. We always just put geraniums in a jar of water in the window and when they send out roots we plant them. Easy easy. That is great, I have never been successful with them in just water. I may have to try it again. I am always experimenting. I might try a few stems in water and a few in pots and see which ones get roots first. I love a good experiment, I learn so much. Thanks for the inspiration! There are many types of “white” bugs so you would need to send a photo to be id’d. Do a google search and you may find photos online that show the bug and tell you what type it is. Sorry I can’t be more help. I took a few cuttings last year; about half of them are viable. I’ve had them out in the garden in their containers for about a fortnight and already two of them have got a stalk and flower buds growing. I’m very[pleased with my efforts. Congratulations Lee, 50% is a very good rate of success. Isn’t it fun? Some of the small cuttings were alive, but their roots weren’t very well established, so I discarded them. As it is I’ve still got enough plants for three tubs. 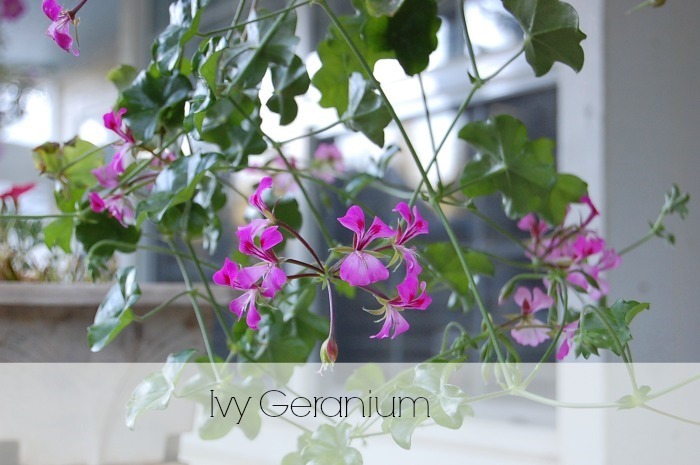 I am going to take some cuttings from the geraniums that I have in the garage overwintering. Could you give some other good examples of plants that do well from cuttings and whether or not you need rooting hormones. BTW have you ever done an article on growing plants in a greenhouse. I have been wanting to invest in a small greenhouse for my yard and wondered if there are things I ofvwhich I should be aware. For my greenhouse I had to be sure it would hold up to snow and have a pitch of roof that it would shed it well. I also have automatic vents in the roof for when it heats up. Mine is placed in a bad area for sunlight this time of year and we are brainstorming how to fix that. So far building a platform to raise it up 10 feet seems the most reasonable. I have been thinking of doing a piece on greenhouses and now you have spurred me on. Yes I will do another article on plants that do well from cuttings. Many do not use rooting hormones, it just speeds up the process and aids in great success. I am going to get brave and try this on my geraniums. I am completely fascinated with the clematis as I never even thought of trying a cutting. Thank you for always having such detailed information in your posts. 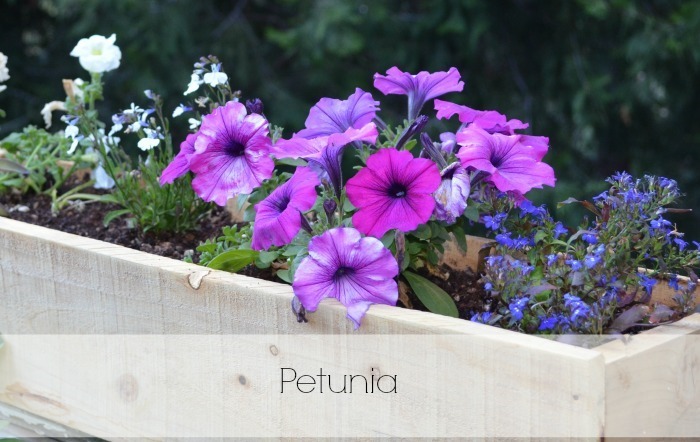 I’ve just brought home severely leggy petunias (still in their 6 pack). I’m pretty sure if I cut them back, they’ll they’ll try they’ll try to put out new growth and bush up a bit. Wondering if the pieces I cut off can be rooted. It appears so, I’m wondering, appears they the same type of tissue, similar to tomatoesthat can be grow roots from the stem? Yes you can. 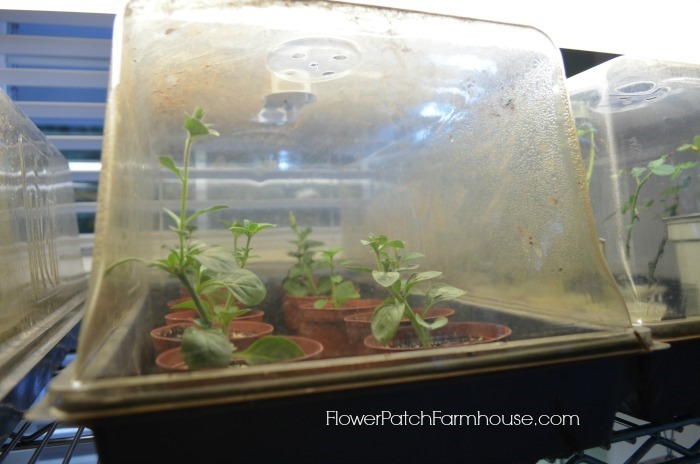 One of the photos in this post shows petunia cuttings in the domed mini greenhouse. You have absolutely nothing to lose so give it a whirl.